The scent of roses wrapped in shades of pink! 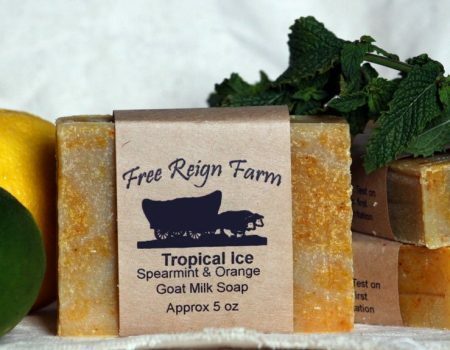 This soap is a favorite for anyone looking for a sweet scent that has an extra moisturizing boost for body and face. 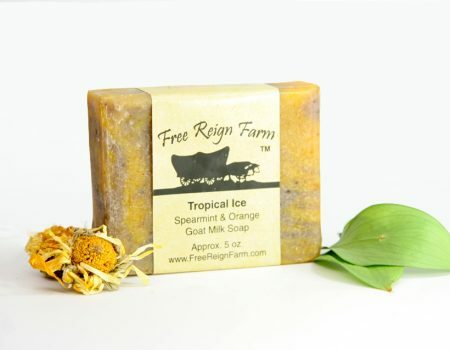 The soothing goat milk and real bentonite clay bring special qualities to this soap. A must have for any woman’s daily routine! 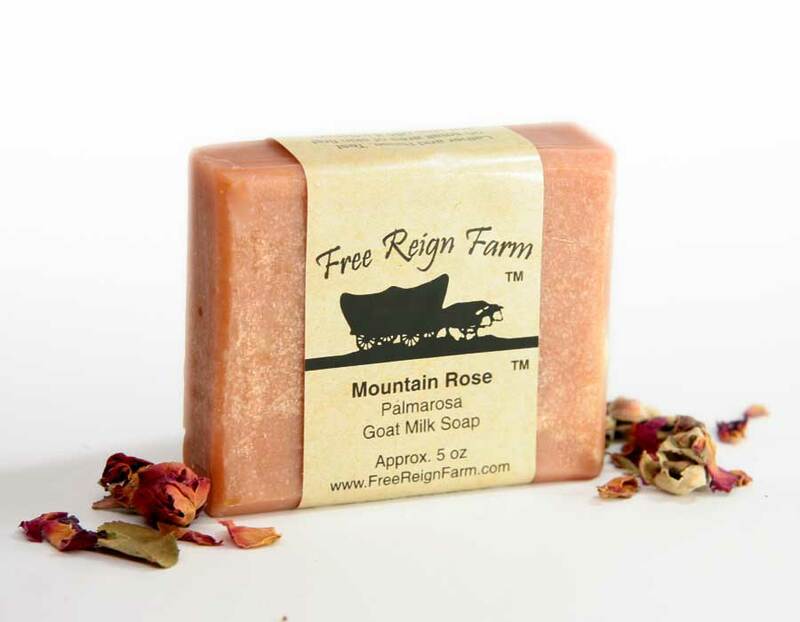 Mountain Rose goat milk soap is made with pure palmarosa essential oil and real rose petals! 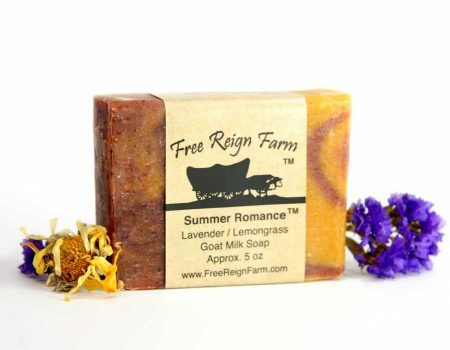 Our palmarosa goat milk soap is a beautiful blend of sweet rose and all the benefits of bentonite clay. 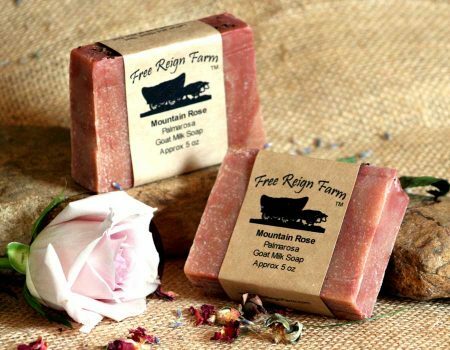 Please Note: Our mountain rose goat milk soap made with real palmarosa essential oil is handmade which will result in natural variations in size, shape, and color from batch to batch. We think it adds character! Goodness knows there were a lot of “characters” who had a hand in making – just ask Ethel the goat! Its getting close to Christmas and i was surprised to see the postman on sunday! My parcel contained three of your soaps incliding mountain rose. It smells very well not like some rose scented soaps that smell fake. Your mountain rose smells more like fresh roses. I used it in r the shower and in my face and i’m impressed with the creamy lather and how soft my skin feels. Great product! 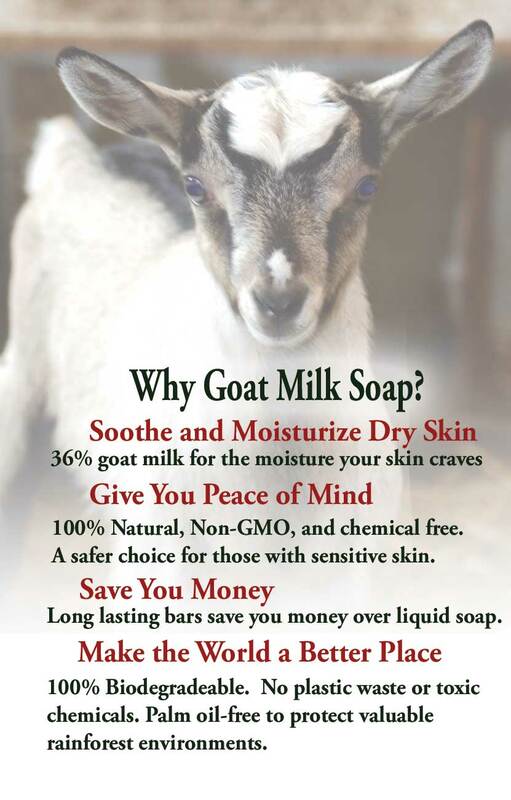 Cleans my skin much better than my old soap! (was using Kirkland’s Coconut soap) plus it smells very pretty. …Side note, my husband has not been able to break out his Free Reign Farm soap that I bought for him bc he hasn’t used up his old soap yet but the other night he couldn’t resist helping himself to my bar of mountain rose. Need I say that he loves it and the pretty scent did not deter him from using it again last night lol. 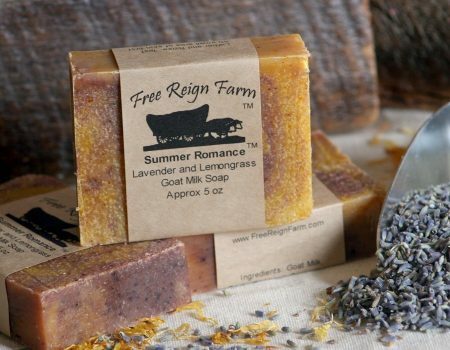 I absolutely love this soap the scent and the feel. 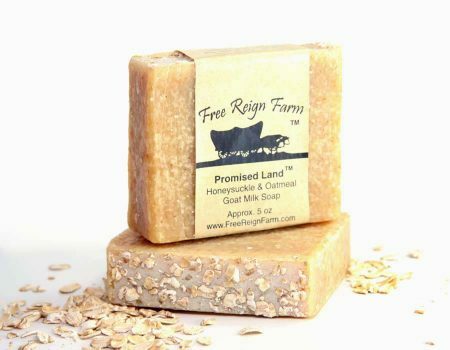 I have stop using all commercial soaps and only use Free Reign Farm soap. I also use it to wash my face and it hasn’t given me any problems. 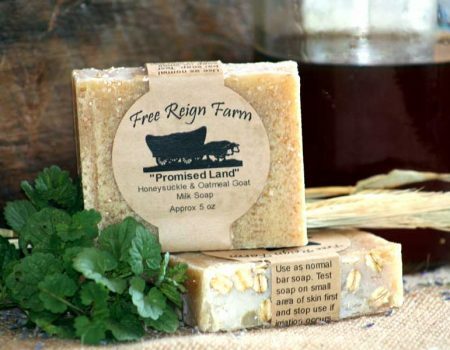 I have handed out several bars to friends who when visiting have said, “I just love the soap you have given me”. 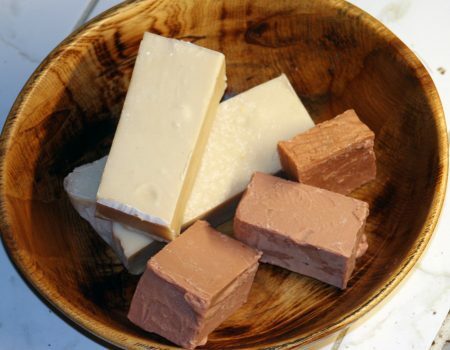 It also last a long time and the new soap dishes are great for your soap it doesn’t just sit in a regular soap dish and get all slimy. The soap dishes are very unique and well worth the purchase. You will not be sorry when purchasing these products.